B-Safe Frog Shape Safety Door Cushion | Green | Protect your little one from danger in the household. 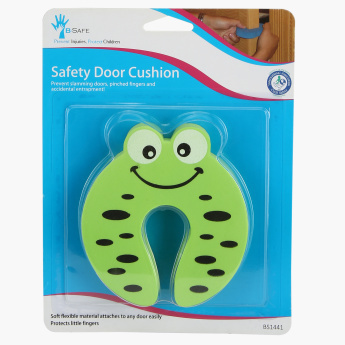 Safeguard your little one's hand, by getting this safety door cushion which comes in a frog shape. The strong material helps in keeping the child's fingers safe especially for doors and cabinets etc. It is easy to install and remove.